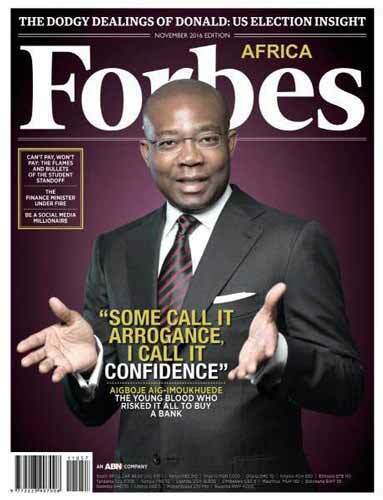 At 48, Aigboje Aig-Imoukhuede may have been the youngest person to ever lead the Nigerian Stock Exchange as president. Three years after, he has just retired an older and a wiser man at 51 running his own company called Coronation Capital. I had been pestering him for an interview for two books I am writing, one on Boardroom Leadership, the second on his friend Aliko Dangote, a man who needs no introduction. He had promised me in the UK that back in Nigeria, he would grant an interview. For me a promise is a debt. So I pestered him with the relentlessness of Shylock the debt collector in Shakespeare’s Merchant of Venice. It took the tragic death of Pastor Olaitan Odumosu, a spiritual mentor who baptized him by immersing him three times inside the still waters of the University of Lagos lagoon to finally break the ice. It was one interview where I killed three birds with one stone. For over an hour, I drilled him on boardroom issues, on his friendship with Dangote and on Pastor Odumosu. Picture him sitting in his expansive, tasteful office surrounded by shelves filled with books—biographies, business strategy, leadership books, memoirs and corporate books in all its diversities. Behind him are two framed pictures: he and his bosom friend Herbert Wigwe, the man who succeeded him as the Group Managing Director of Access Bank, the bank they founded, managed and took to greater heights. “I bought this prayer book I am currently reading in New York when I recently travelled,” Imoukhuede tells me, pointing out that the key to success is putting God first in everything. We talked extensively about Aliko Dangote, how he first met him in 1988 at Continental Merchant Bank where he did his national youth service and young Dangote was a big customer, how the friendship grew, how Access Bank started and how Dangote put them on a solid foundation by opening an account that boosted their morale and liquidity. Imoukhuede recalls that “it wasn’t a friendly environment at all,” leaving GTB to start their own bank. “You’ve left GTB where you were Executive Directors, so senior and well-respected. Then you now go to start this new bank with virtually nothing at the beginning. 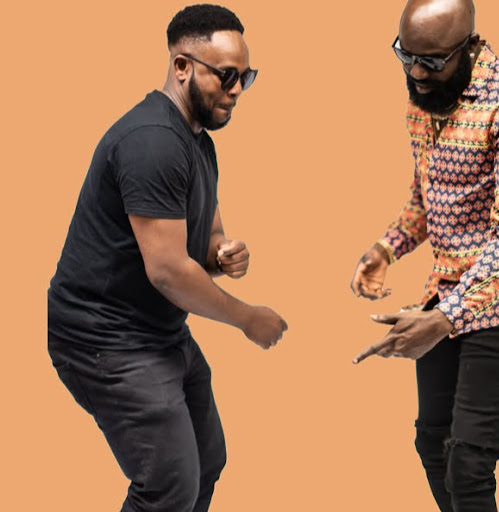 With Imoukhuede, you can never run short of anecdotes. He remembers a day he was travelling with Dangote to Abuja. He needed to see his pastor urgently but found himself acting like Hamlet: to see or not to see. Dangote instantly waded in, insisting: “you must see your pastor!” He even followed him to church, resulting in getting to Abuja very late. He also recalls an incident many years ago in Atlanta, USA, when Dangote had to go to church and was the one who carried the baby Davido home after his christening. Today, Davido is an award-wining pop star and a household name. That was why when Imoukhuede was hosting a 60th birthday bash for Dangote in his spacious Ikoyi office, he invited Davido to perform on that joyous night of dancing that brought together Dangote’s inner caucus and close friends like Davido’s father, the billionaire Dr. Adedeji Adeleke, the former Ogun State governor Aremo Segun Osoba, the former governor of Edo State Adams Oshiomole, the present governor of Edo State Godwin Obaseki, the former Cross Rivers State governor Donald Duke, the Nigerian billionaire Femi Otedola and many other Dangote insiders. I saw beautiful pictures taken that night. Wow, that is the benefit and the joy of being a biographer. I tell my fellow journalists to take to biography writing because of the exclusive stories and insights you get. It is through biography I have so much insight into my great friend Dr. Mike Adenuga whose biography would soon be out as part of our ‘GIANTS of AFRICA’ series. Imoukhuede reveals that it was Dangote who invited him to the stock exchange: “Aliko came and sort me out. He said he wanted me to join the council of the stock exchange.” He ended up succeeding Dangote as president. Asked what it was like following Dangote’s footsteps, he tells me: “Obviously, it is a difficult act to follow Aliko generally in anything. But remember that there was a purpose for which he invited me. And as the Bible says, there is a time and season for everything. Prior to becoming president, I had deputized for him as first vice president. And it was all about understanding where we are taking the exchange to. What’s the game plan? For me, I could not betray the trust and confidence reposed in me either by Aliko or all the presidents before me, particularly the founding fathers of the exchange.” It would be recalled that Dangote as president of the stock exchange came at a time of the global economic meltdown and he did his best to build a solid foundation upon which Imoukhuede improved and run with like an Olympic relay runner. “As the president, he stabilized the market at a time of crisis. He did a lot. He cleared the path for that change that I brought. And to clear the path meant that he had to clear the desk. And that included the then DG’s exit and so on,” Imoukhuede says. 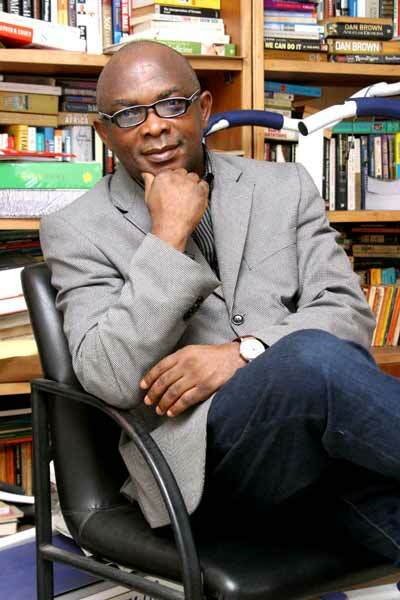 Let me end this piece with Imoukhuede’s tribute to the late Pastor Odumosu, a man whose memory he cherishes: “My relationship with Pastor Odumosu was in the context of church—the Promised Land Ministries. He actually did my baptism by immersion at Unilag waterside. I remember that morning vividly as we were walking into the water and him immersing me and pulling me out. As you can imagine, that is not an event that you would ever forget. He called my wife his sister and the two of them used to publish the church bulletins. He was an extremely loyal man dedicated to God. His chair is near mine in church and that empty chair was almost a vacant space in church. It shows you how we miss him. I take solace in the fact that like Job, his faith in God is unshakeable. I know he is resting in heaven with the Most High God. He certainly ran a good race. In every organization, you have those you can call the backbone.